For much of the 20th century, across all areas of the business ecosystem, the strongest and most successful style of leadership was considered to be the ‘alpha’ approach. Stereotypically, this equated to the person with the loudest and most aggressive voice immediately being lauded as the most authoritative. In recent years, however, the landscape has shifted away from the alpha paradigm into more conciliatory, constructive and altogether kinder leadership. The ‘beta’ leader may not shout the loudest, but that certainly doesn’t equate to weakness – in fact, introducing this model of management can prove more beneficial in the modern workplace than the wholly alpha style of yesteryear. What does it mean to be beta? Entrepreneur, venture capitalist and ‘corporate anthropologist’ Dana Ardi went in search of the answer in 2013, when she penned The Fall of the Alphas: The New Beta Way to Connect, Collaborate, Influence and Lead. Ardi was inspired by her time working in private equity and venture capital, during which she encountered many businesses with authoritarian or alpha leaders. These leaders, she told World Finance, had a “myopic” way of thinking about growth, with new ideas “unable to be infused”. By contrast, she likened beta-led firms to orchestras, with “the best players and the best instruments for that moment in time, that piece of music you have to play, using the talents of the entire team to be able to get there”. Beta leadership is not about being dictatorial, but about delegating: it’s about recognising the contribution that every employee makes to a high-performing business, and giving them the space to be creative and enjoy what they do, knowing that this leads to happier and more productive teams in the long run. Although beta leadership is often pitted against its more authoritative alpha cousin, the two aren’t mutually exclusive. It’s possible for a leader to have both alpha and beta characteristics, and to deploy one or the other depending on the situation they find themselves in. Clinical psychologist and CEO of Leadershift Jeffrey Hull explored this duality when he created his FIERCE model. FIERCE stands for flexible, intentional, emotional, real, collaborative and engaged, and functions on a sliding scale, with each category representing a spectrum of alpha to beta. For instance, in the flexibility dimension, the alpha leader will be direct and authoritative, thereby taking a minimally flexible approach. By contrast, the beta leader will be inquisitive and will collect feedback from employees to reach a consensus on decisions, representing a maximally flexible approach. The model, Hull told World Finance, is designed to enable leaders to examine their own communication and leadership style, as well as how they collaborate with their team. “It provides a framework for a leader to reflect on their strength and to consider expanding their portfolio of skills,” he said. Hull’s sliding scale model makes an important point about leadership in general – that it’s not about throwing the baby out with the bathwater. There’s nothing to say that beta leaders should never be authoritative or decisive – rather, this style of leadership should be reserved for specific situations, and shouldn’t be a person’s sole mode of functioning or communication. “As an executive coach, I frequently have to work with leaders whose particular way of operating has become problematic or is too limited. That one-trick pony style of leadership is very often unsuccessful,” Hull explained. Of all the sectors that could benefit the most from a few more beta leaders, financial services is high on the list. Legacy institutions, in particular, are famed for taking a strongly alpha approach. This is often due to a compassionate or community-orientated approach being viewed as ‘soft’ and incompatible with organisations that need to be ‘tough’. However, Hull said: “The research on effective leadership and on high-performing teams is really beginning to show that a more consensus-driven leader is often more successful in the long run.” Indeed, the Pew Research Centre recently found that 89 percent of Americans consider it imperative for leaders to create a safe and respectful workplace, while 58 percent think it essential for leaders to be both compassionate and empathetic. Even the most alpha of legacy institutions can implement a beta leadership culture. According to Ardi, with “willingness to change, evolved leaders and a team effort”, the beta framework can simply be folded in. This change can also dramatically improve the fortunes of a company, allowing it to function more efficiently and, as such, compete in a new way. Ardi told the story of a successful financial services firm, from which the CEO was departing due to ill health. Ardi was invited in to help with the hiring process for his replacement, but when she arrived, she found that the competitive alpha culture within the business was so strong that it was creating an unhealthy atmosphere, with various managers constantly engaging in one-upmanship and vying for the next promotion. Instead of opting for authoritative alphas to lead their business, many fintech firms and challenger banks have hired beta heads in an effort to boost innovation and creativity. Take P2P lending firm Funding Circle, which recently floated on the London Stock Exchange for £1.5bn ($1.9bn): each of its three founders plays an equally important role in the running of the company, eschewing the archaic idea that a company has a sole figurehead leader. The move towards beta leadership is symptomatic of broader shifts in the workplace as a whole. “The whole context in which we work is impacting leaders – the convergence of time zones, the accessibility of information, our use of social media,” said Hull. All of these new challenges require a diversified and agile approach – a key beta characteristic. 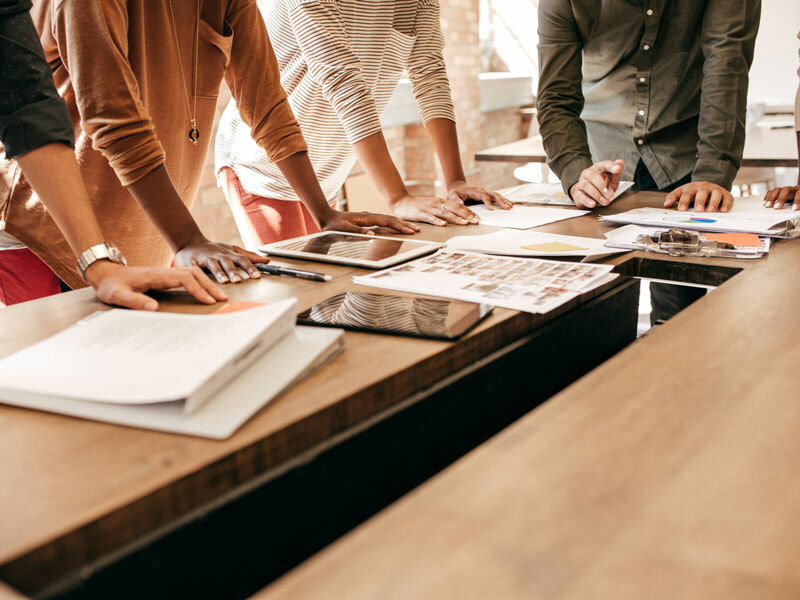 Leaders are also now grappling with a multigenerational workforce, with Baby Boomers and Generations X, Y and Z all adding their voices to the mix. The challenge of uniting disparate groups is best tackled by a beta leader. It’s clear then that the perception of alphas being stronger and betas being weaker is a tiresome stereotype, and simply not true in a modern working environment. The most successful leaders do not limit themselves to a single paradigm, but cultivate emotional intelligence and productive employee relationships, enabling them to nimbly adapt their style to any given situation. Alpha is out: agility is in.